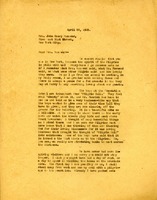 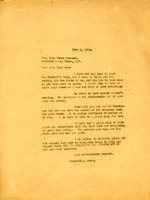 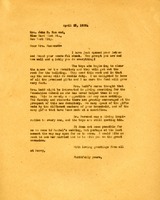 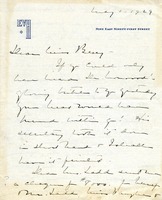 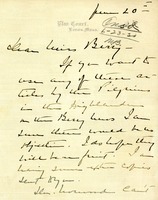 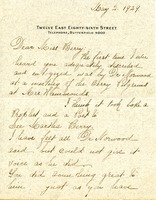 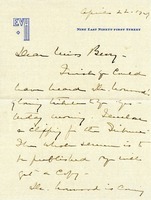 Robert Norwood writes Martha Berry to tell her than his visit to Berry inspired his recent sermon. 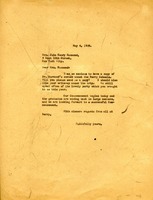 He also hopes to writes an article, "A Saint in the Cabin" for Mrs. Hammond to publish in her booklet. 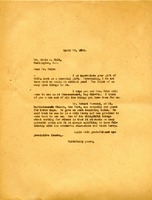 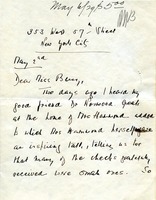 Loader writes that she heard her good friend Dr. Norwood speak at the home of Mrs. Hammond. 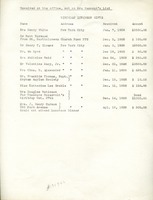 She notes that she learned that many of the donations made to the school are small ones and thus sends a small donation and the hope that she can send a larger one in the future.